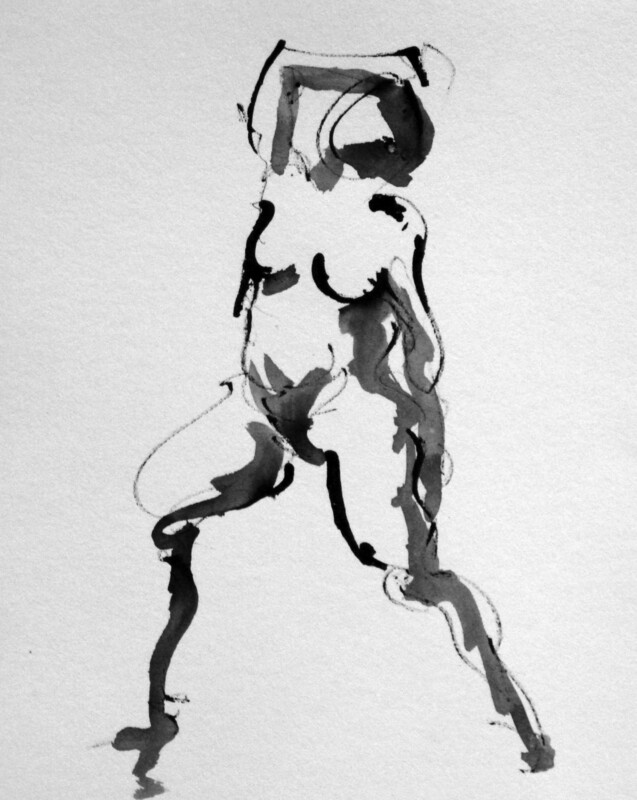 We had a model at today’s life drawing workshop whose body type looked a little bit Rubenesque. You can imagine Rubens painting her for one of his large canvases. However, none of us had the skill of Rubens but we tried our best to draw her in our own little ways. I thought I started off pretty well with my sumi ink sketches of her during the 10 2-minute warm-up poses. 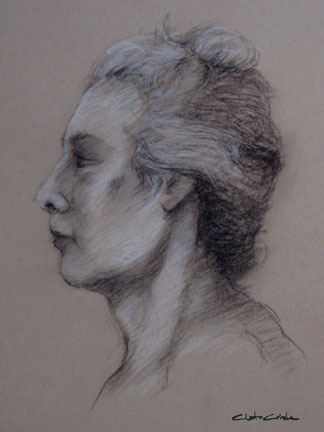 But my favorite of the day was a portrait of her done in black and white charcoal on toned paper. 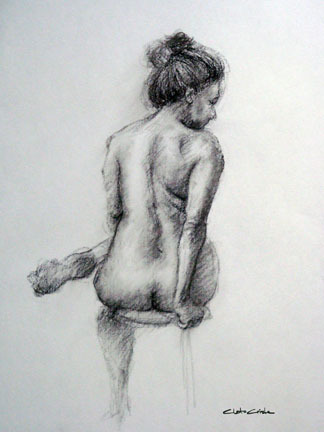 Black and white charcoal on toned paper – 20 minute pose. 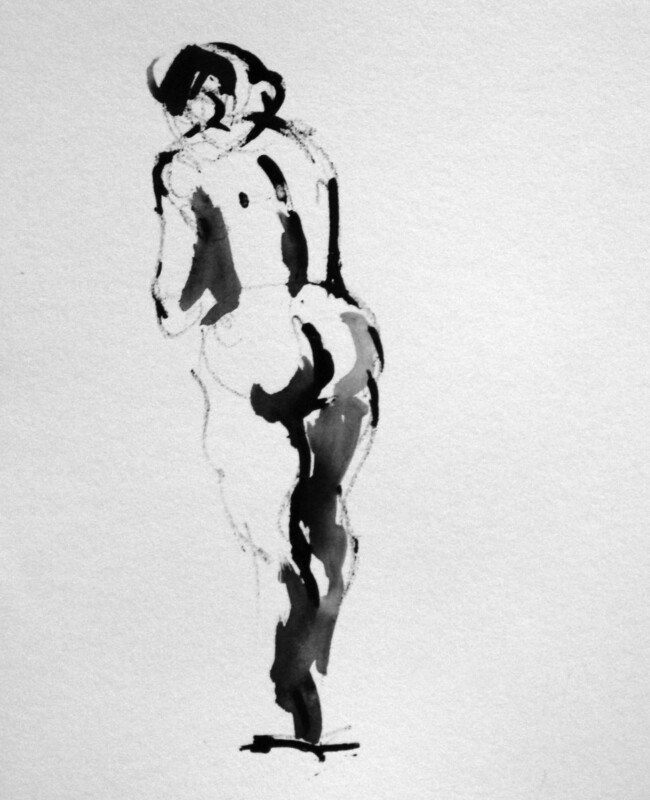 Black charcoal on paper – 10 minute pose. 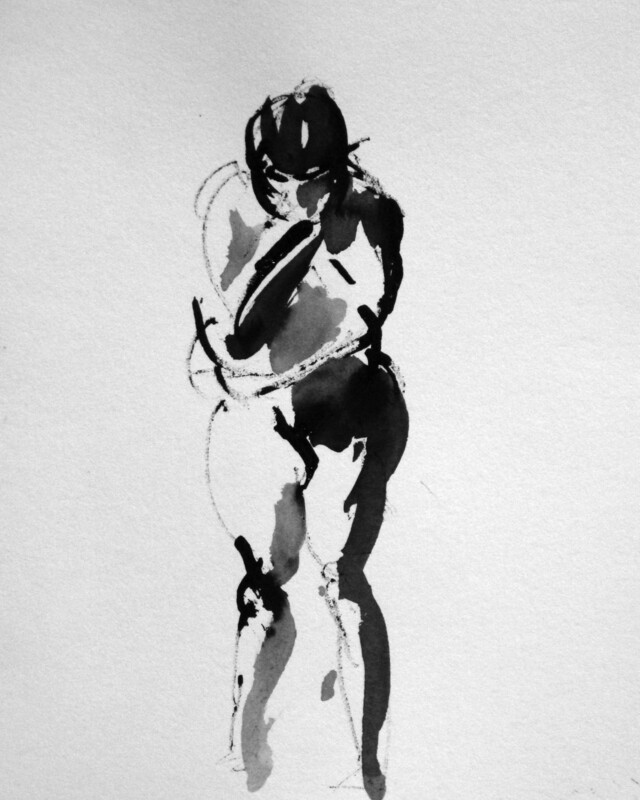 Sumi ink with chopstick pen and washes – 2 minute poses. Today was Super Bowl Sunday. The game didn’t start till 1:30 pm, Pacific Time and that meant I still had time to either go to the archery range and practice my shooting or go to the life drawing class. Archery is my new hobby and I’m totally into it. 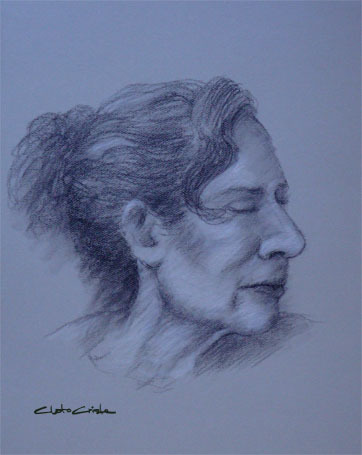 However, I’ve already missed several of the life drawing sessions because of the football playoffs that I had to see, and I eventually decided to attend the workshop. I’m glad I did and I was able to get at least one drawing done that’s worth posting. This is black charcoal on toned paper with white charcoal highlights. It was a 20 minute pose.